Photo courtesy of Carol Deppe/Fertile Valley Seeds. We Americans value the freedom to do what we want with our property. These days, our freedom of action in regard to what we own is increasingly being eroded and constrained by the expansion of corporate power and the evolving legal dimensions of ownership. Nowhere has this tendency to limit freedom to operate come into sharper focus than in farming. A farmer may buy a John Deere tractor, but ownership of the copyrighted software—without which the tractor cannot run and cannot be repaired—is retained by the company. According to Deere, the farmer has “an implied lease” to operate the tractor but is prohibited from making any repair or change involving use of the copyrighted code. For farmers who are planting patented seed, the lease is not even implied, it is literal. Farmers cannot acquire patented corn, soybean, cotton, canola, alfalfa, or sugar beet seed without signing highly restrictive limited use licenses. These agreements permit the farmer to use seed solely for planting a single commercial crop. Any other use—saving, replanting, sharing, transferring, selling, or breeding with the seed—is expressly prohibited. Farmers aren’t buying seed, they are renting a one-time use of a combination of genes that they never own. The position of the farmer with reference to farm inputs and equipment is much the same as for any of us in regard to Apple or SONY or Microsoft or General Motors. Many of the technologies we buy so avidly and use so ubiquitously are not entirely ours. We implicitly agree to licenses restricting our ability to access and alter embedded code when we open shrink-wrapped software or music CDs, and when we purchase phones, tablets, and automobiles. Such licenses are supported by the 1998 Digital Millennium Copyright Act (DMCA) which governs the ways purchasers can gain access to a product’s software and what they are permitted to do with it. Like previous patent and copyright legislation, the DMCA’s limitations on consumers’ access and use were supposed to spur innovation and prevent piracy. Instead, they have become tools for enhancing market power through the creation of barriers to repair and reuse. The DMCA impedes both creative hacking and the entry of independent diagnostic and service enterprises. Retention of ownership over embedded code—digital and genetic—is especially problematic for farmers. Without access to software, farmers cannot fix their own equipment or arrange for it to be serviced by anyone but a licensed dealer, at whatever price the vendor dictates. Many farming operations are highly time-critical and the cost of transporting a downed piece of machinery to distant dealers can be large. Patent and license restrictions on the use of seeds are damaging not only to farmers, but to society as a whole. Prevented from saving and replanting use-restricted seed, farmers have been subjected to a doubling of seed prices since 2007 as the seed industry has rapidly consolidated. The prohibition on saving and sharing seed also undermines and constrains the vibrant and creative “freelance” plant breeders who are a resurgent force in the farm community. What is to be done? Happily, a wide variety of individuals, advocates, and groups have recognized that a just and sustainable society is likely to be founded more on the principle of sharing rather than on that of exclusion. Organizations such as Creative Commons, the Open Society Foundation, the Free Software Foundation, and the Open Source Initiative are acting to free our technologies from overbearing restrictions. In 2012, a variety of stakeholders—public sector agricultural scientists, universities as well as freelance plant breeders, small seed company owners, and seed-rights activists—came together to “take back the seed,” or free the seed from corporate dominance. We formed the Open Source Seed Initiative (OSSI) to create a means for ensuring that at least some seed and some of the genes cannot be locked away from use by patents and other restrictive arrangements. 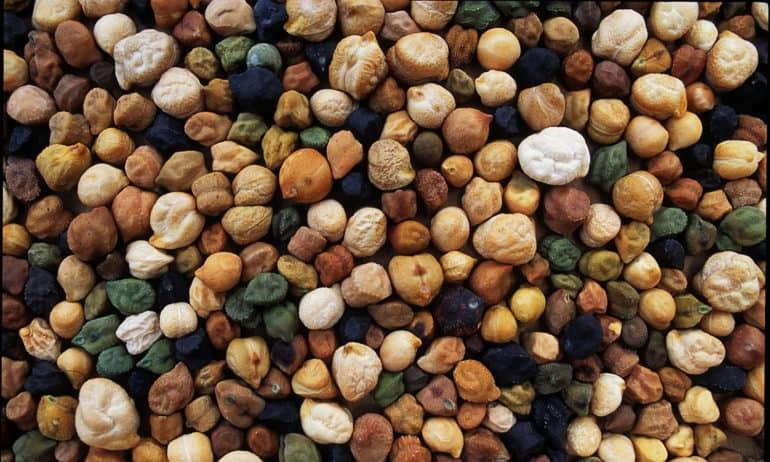 Seed of some 377 OSSI-Pledged crop varieties, bred by 37 OSSI Plant Breeders, are now available from 48 OSSI Seed Company Partners. Visit the OSSI website or Facebook pageto learn more and to find how you can obtain “freed seed” for your garden! Powerful interests are at work to enact the sort of future that Thoreau warned us against: that men will become the tools of their tools. Instead, let’s put in place a framework that allows our tools to do the good work to which we can aspire. Free the Seed! Speed the plow! The authors are board members of the Open Source Seed Initiative.